If their run to the quarter-finals of the European Championships two years ago was implausible, reaching a similar stage of the World Cup would have ranked in the realms of the impossible. Yet, Iceland, the smallest nation ever to qualify for the biggest stage of all, came close to managing it, came close to doing just that. 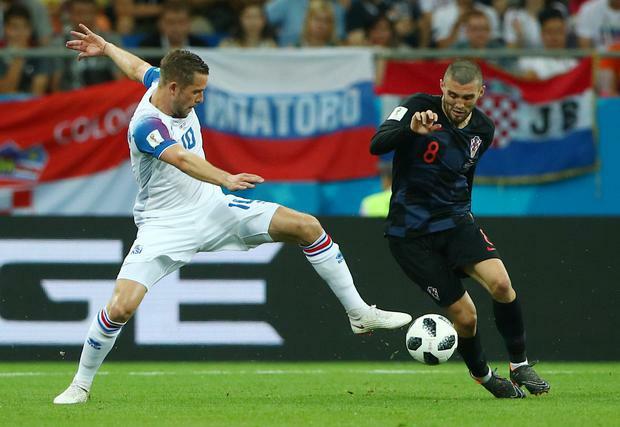 They fought until the end, but goals from Milan Badelj and Ivan Perisic, sandwiched by a nerveless Gylfi Sigurdsson penalty, sealed the victory and a perfect record for Croatia. After the game, the Iceland players stood around in numb devastation, but nonetheless watched as their fans roared their appreciation. They have done themselves proud. 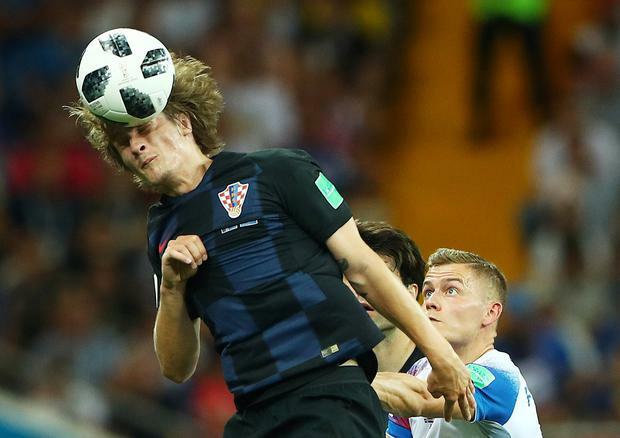 Croatia, as expected, made significant changes to their starting XI - nine, in fact, from the win over Argentina - but Luka Modric and Ivan Perisic remained, at least giving the impression that they weren't completely taking this game for granted. They controlled the early stages, Modric providing a few touches that would be outstanding for anyone else, for him mere routine. One cross, from the left with the outside of his right foot so it curled gently away from Iceland keeper Hannes Halldorsson, was particularly delicious. 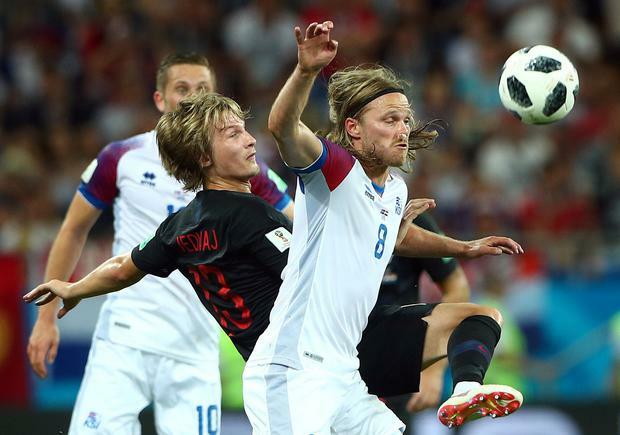 But Iceland had more purpose, only halted slightly after a rogue (probably unintentional) Marko Pjaca forearm spread Birkir Bjarnason's nose across his face. The winger, whose flowing blond hair already looks pretty dramatic, was able to continue only after making an awful mess of a previously crisp, white towel. He played for the rest of the game with cotton wool shoved up his left nostril. After a subdued first-half performance, Croatia resumed with a little more gumption and Badlej fired them ahead after 53 minutes, having crashed another shot off the 'bar moments earlier. Iceland got a lifeline in the 75th minute after Dejan Lovren, only just on as a substitute, blocked a cross with his arm. 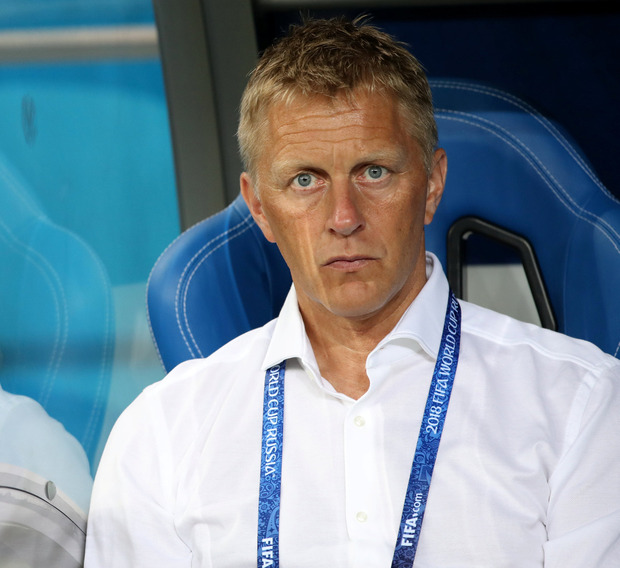 Sigurdsson, who launched a spot kick into orbit against Nigeria, showed significant nerve to not only step up again to take this one, but go for a similar technique, burying his penalty into the roof of the net. From there, Iceland hammered on the door but, with moments remaining Perisic dashed down the left, into the area and belted a shot into the top corner. Icelandic hearts broke, but there was nothing for them to be ashamed of here.